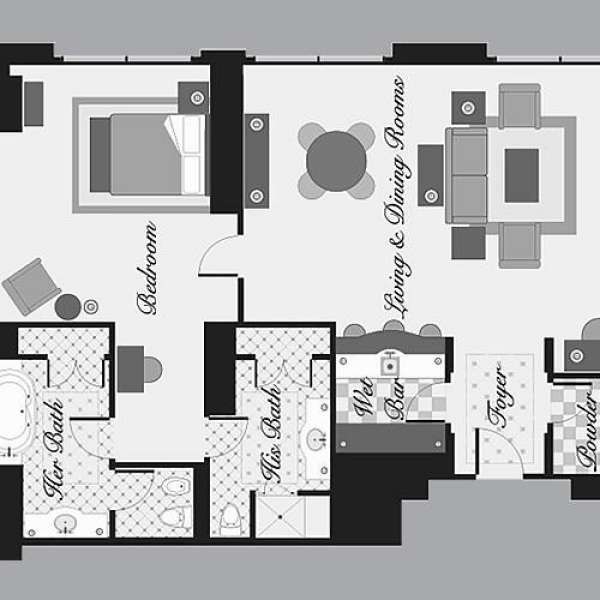 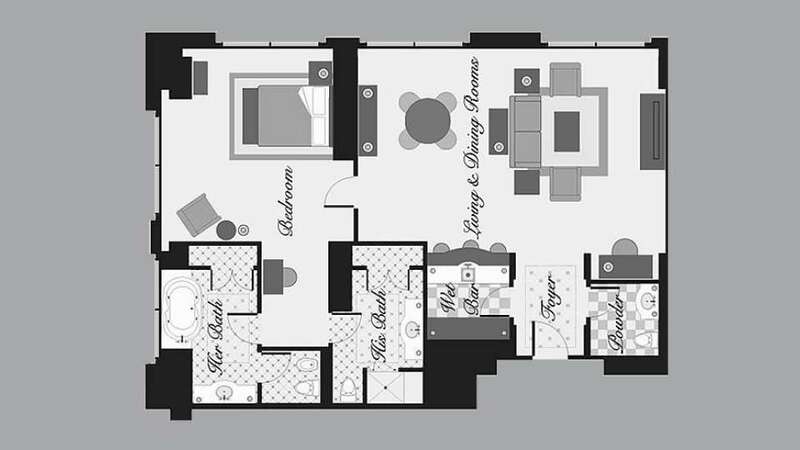 Our expansive One Bedroom Penthouse Suite can connect to a Tower Deluxe Room for an additional bedroom. 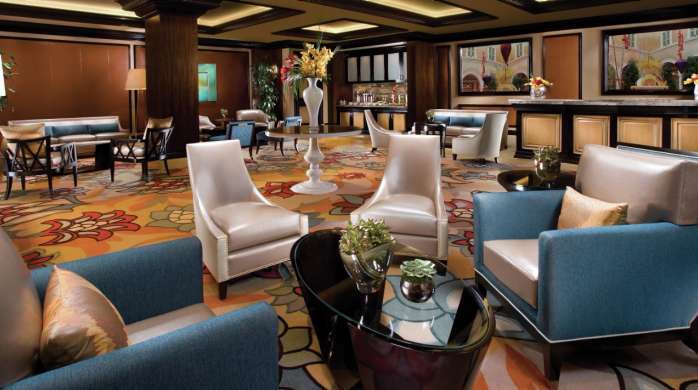 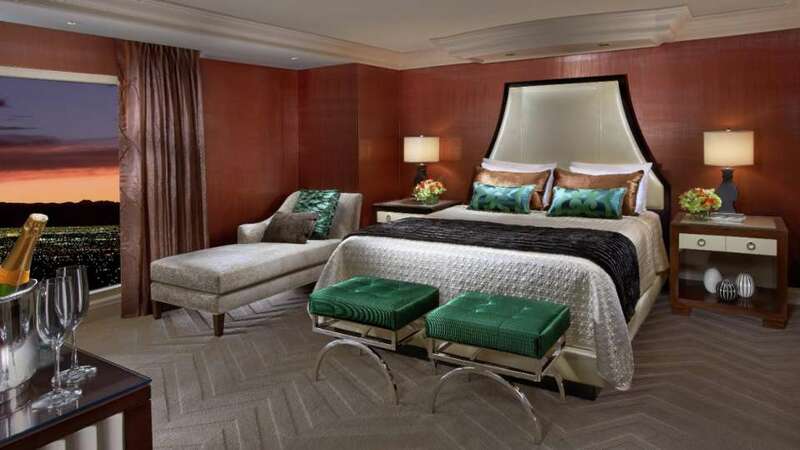 Savor our stylish, Bellagio-themed art décor and tailor your stay to your preferences with mood lighting, individual climate controls, reading lights, and automatic drape and sheer controls. 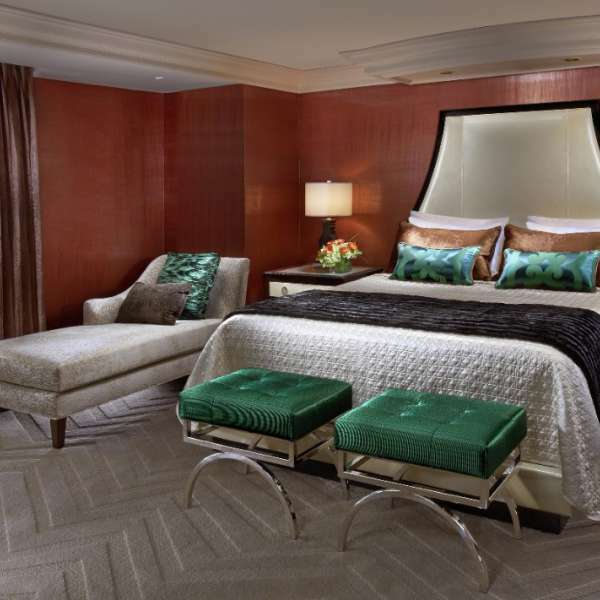 The bedroom in the Bellagio Tower Suite. 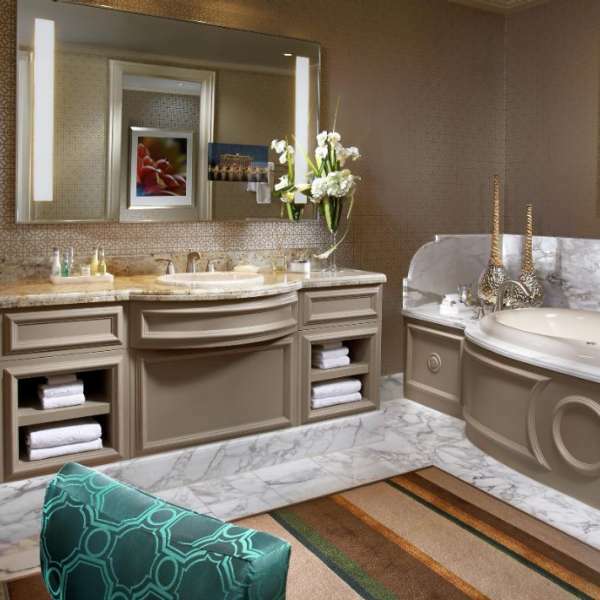 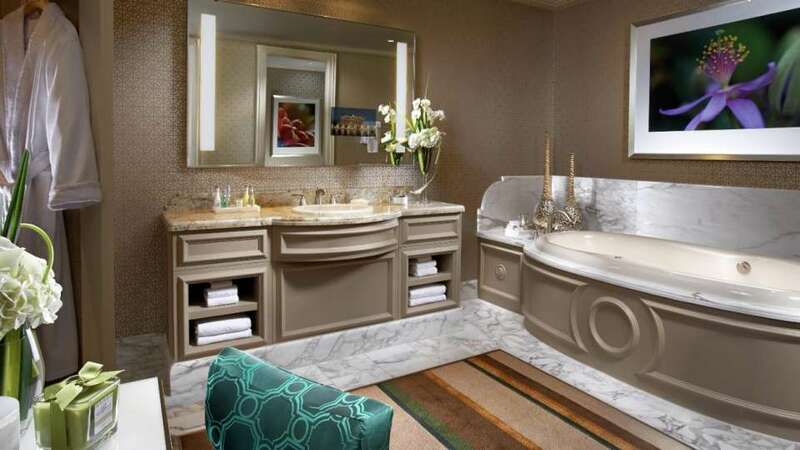 The bathroom in the Bellagio Penthouse Suite.